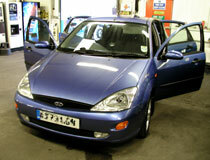 Valet testimonials - Connolising, Paint Correction, wheel Refurbishment. "Excellent work that I can rely on based upon using you in the past. Lovely job. Looks like a brand new different car all together." "From the initial call, I found staff helpful & friendly. On arrival I was talked through what I'd get for my money. When I came to pick the car up, I couldn't belive it was the same car. An amazing job. I would definitely recommend Clean Image to friends." 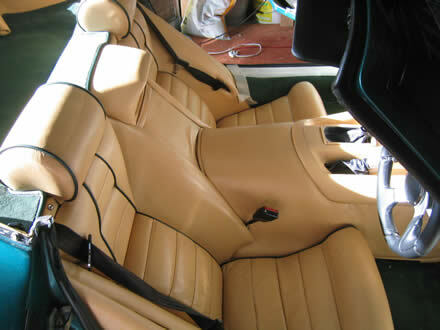 "Having owned my Marcos LM400 for 4 years I felt the standard leather interior neaded a new lease of life and a colour change to further enhance the look of the car. Alan Button took on the challange of a two tone contrast of charcoal with a hint of green and a very dark red leather centre panel -- the result, fantastic!!! 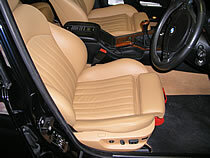 The actual dye used was keyed tot he existing leather and looks as if the car has be re-leathered but at a fraction of the cast. I would highly recommend this man to anyone thinking of a colour change. Very professional and courteous service provided. 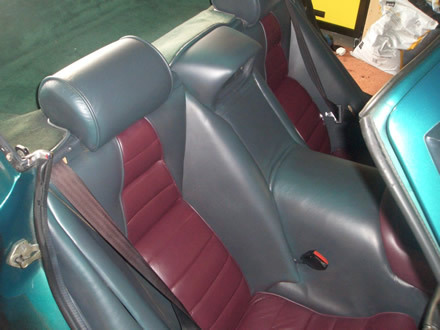 Alan Button is an antique furniture expert who came to us a while back and told us that he could actually change the colour of leather and would like to do so on cars - so we decided to refer some of our enquiries to him and see how he got on with them. Alan has produced some stunning work which is of the highest quality - so we are now pleased to say that we can offer this service. Just 31 minutes from Leigh-on-Sea! "I had four wheels refurbished and one dent removed, excellent service, wonderful job - already recommended to other people. Very friendly, was only sold what I was asked for. Many thanks. " "A courteous and professional service. 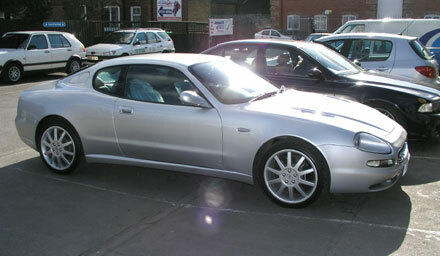 Although booking a Silver Valet, upon arrival, manager advised a Bronze Valet asbeing sufficient which reduced the cost. I will certainly use Clean Image again and also recommend the service to friends. "In a word - Outstanding!" "A smart paint job was completed on time and looks good. " You may or may not remember me...I am the tall bloke with the BMW M5 with the blemish on the O/S rear door !!!!! You restored the seats on Thursday 2nd March 2006. Anyway I am over the moon with the result...fantastic. Was it worth coming all that way to have it done?...you bet it was. If I had known how good a job you were going to make any distance would have been OK. To top it all, we had a great time on the river trip on the Thames and our 'flight' on the Eye. Thanks once again for the great job"